The tarnetar is a fair and festivity event that takes place at the Trinetreshwar temple in a small hamlet called tarnetar. 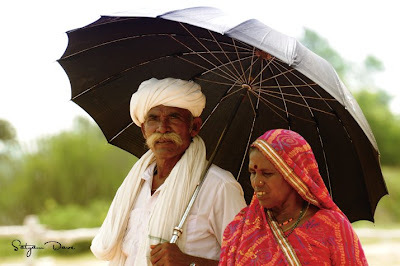 It is situated in the south of Gujarat some 25 kms from Rajkot. 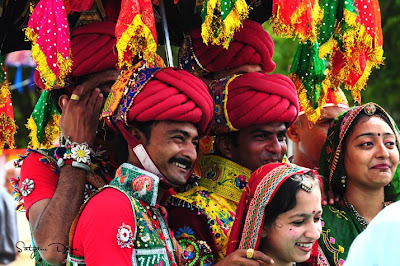 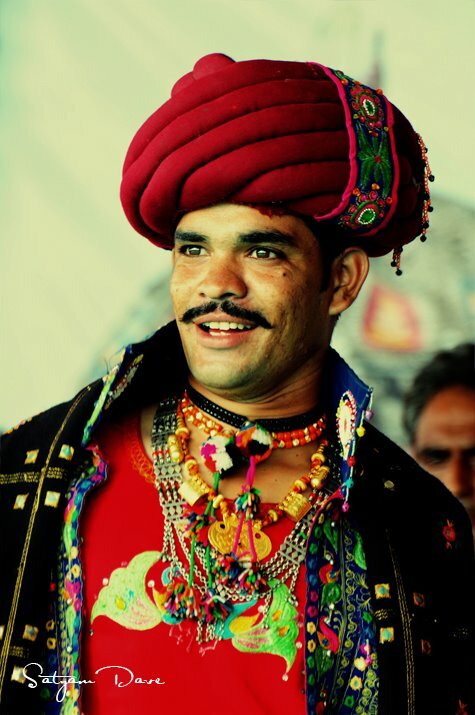 The people from all over the saurashra region throng the fair wearing the best emroiderd colourfull clothes and the traditional jewelery. 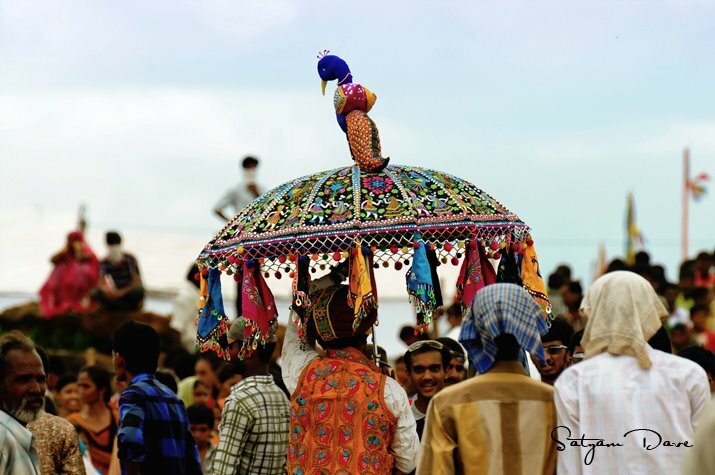 It is a festival of revelry. 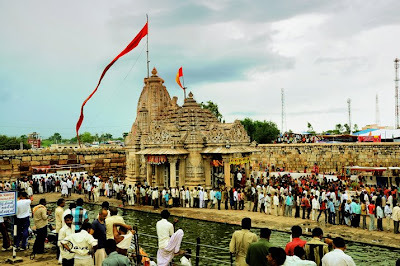 The place where this fair is celebrated is said to be the place where Draupadi choose Arjuna as her Husband after he won the matsyabhedam competition in her swayamwar. 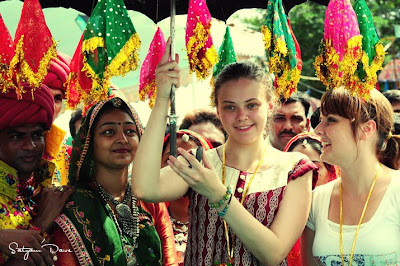 The colorful and decorated chatris (umbrellas) signify a bachelor. The fair is also a place where the tribal youths look for suitable brides for themselves. 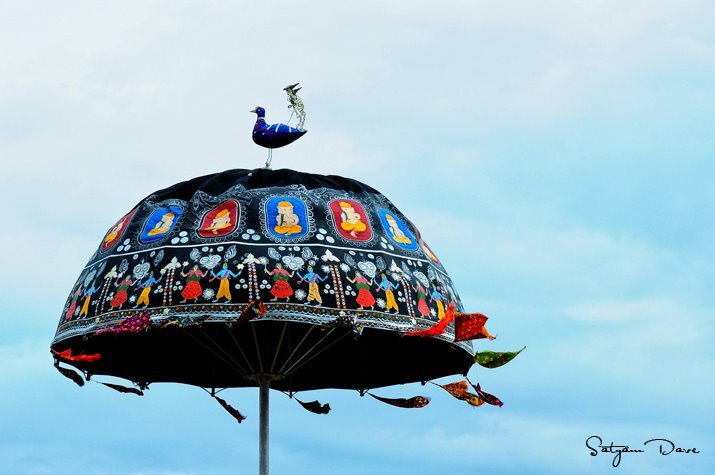 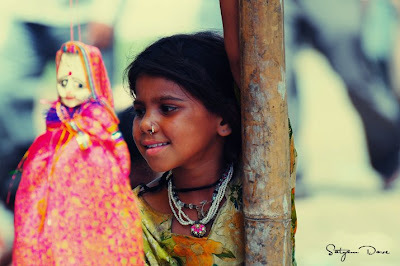 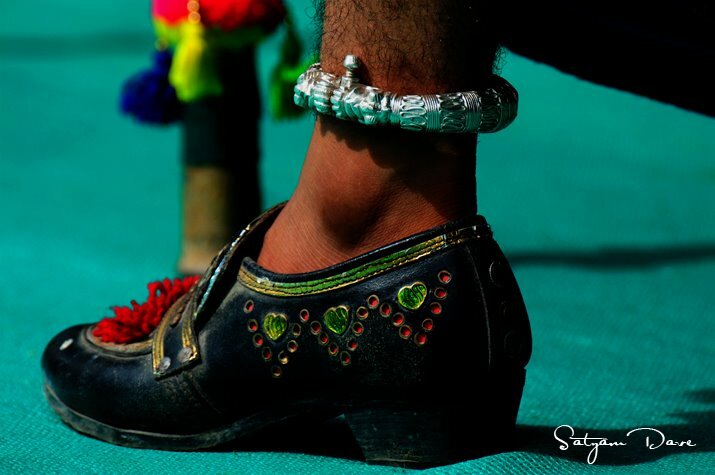 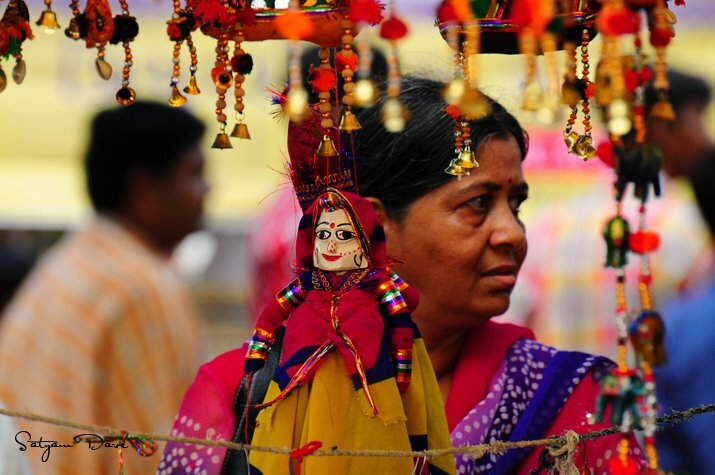 The mela is full of mesmerizing colors, folk art, music, happy faces and fun. 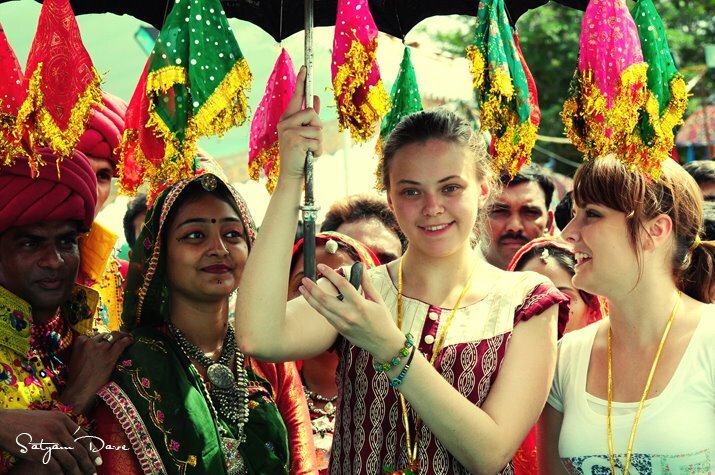 Visitors from far off places and even foreigners come over to visit and enjoy the revelry. 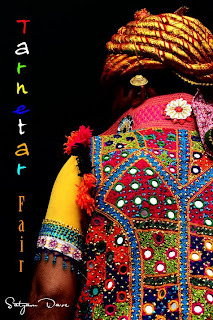 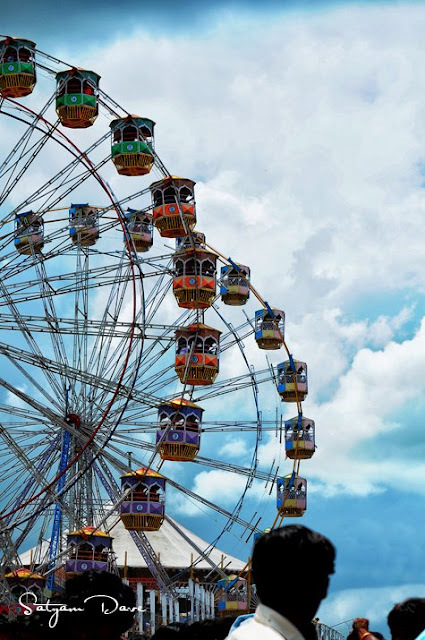 Nice reading about this fair and its origins...look such a vibrant colourful milieu with all the enthusiasm and the merriment to go with....beautiful photos!